In the early years of the 21st century, executives at Toyota's US headquarters faced a dilemma. The Toyota brand was perceived as old-fashioned and was failing to appeal to the country's youth. This was a segment of significant importance - the population of Gen-Y, or people born after 1977, outnumbered Gen-X, or those born between 1965 and 1976, by nearly 50 per cent. Competition had already started to capture this younger market - Honda Element, VW Golf, BMW Mini, amongst others. Given previous failed attempts, Toyota needed a new approach to tap into this increasingly relevant cohort of new car buyers. Following thorough consumer research, Toyota was able to identify compelling insights about the mindset of Gen-Y. This was a generation that assigned greater importance to individualism, and was far more web savvy than previous generations. It wanted its vehicles to make a personal statement without burning a hole in the pocket. It was relatively immune to or sometimes even repulsed by traditional car salespersons and marketing techniques. 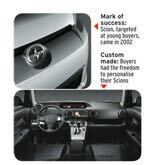 In 2002, Toyota launched Scion, a new sub-brand targeted at young buyers. Scion offered customers a choice of three standardised models, with a large number of optional accessories that gave buyers tremendous freedom in personalising their vehicles. Each model was competitively priced below $20,000, as Toyota sacrificed margins on the vehicle in order to profit from accessory sales, whilst simultaneously hoping to establish "cradle-to-grave" loyalty - that is, from Scion to Toyota to luxury brand Lexus as a young person's age and income advances. However, Scion's innovativeness did not end with product features. The use of channels to market the cars and manage the business model was also a cornerstone of the innovation. Channel innovation in reaching consumers makes marketing and delivery critical, given the target audience's media consumption habits and unfavourable attitude toward hard-selling. Scion's marketing team responded by focusing on web-based initiatives and non-traditional marketing techniques designed to create a "pull" effect for the product, rather than explicitly "pushing" it. The Toyota Scion case has great relevance to India since the average age in India in 2020 will be 29 as compared to the United States and China at 37, Europe at 45 and Japan at 48. Young people have a huge aspiration level and this shows in the brands and styles they buy. At one level they want a 'no worry choice' and at another level they want something that is 'customised' and reflects their personality. They are tech savvy and reject the old selling methods of most industries. Toyota Scion attacked the youth segment with a base car that could be customised through 40-plus accessories. The car was priced low and the dealer and Toyota made their margins through accessories. I am not sure this is a sensible strategy, since the preferences and life cycles of accessories change quickly. A change in oil price or some tax change will kill the business as it happened with 'Charms', a youth cigarette brand in India. Leaving low margins on the base product also restricts response in case of a competitive threat. This strategy will work as long as the accessory design is innovative and is always leading the offer. Else, the consumer will move on. MTV said many years ago that it wants to change before the consumer changes. That is an absolute necessity for a youth brand. Toyota Scion's approach to media and targeting of the youth with digital activity is excellent. Young people believe they are more tech savvy and trust the opinions of others in social media. This is something many brands are doing in India - durables as well as non-durables. Innovation is a discipline which needs consumer understanding, cross functional working and an open ecosystem to really flower. For Indian companies to be more innovative, they need to get a better grip on consumer understanding and the relevance of the brand and the category in the consumer life space. Cars are very important to the youth as we know in the Toyota case, giving the youth an opportunity to customise their car digitally and get their friends' opinions is a great way of building a pre-sale sale. This simple idea can be used by clothing brands as a digital solution in changing rooms. Next, true innovation happens at the edge of cross functional interaction. 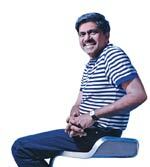 In most Indian companies, we assign innovation to the marketing team. That should change. Innovation is just not about product as the Toyota case shows us, it is beyond the product, that is, accessories and also a new business model and a new media strategy. TVS scooters have followed a customised colour strategy and that has worked. Laptops have enough accessories. Men's clothing brands have the potential to accessorise more. We need more women's brands in the lifestyle area. Indian companies must embrace open system innovation where each player pools in his precious resources for the whole ecosystem to gain. This is what I term dependent growth. The Indian market has moved from a penetration-led market to a consumption one. This will present innovation opportunities in consumer retail experience, in virtual business models, in personalisation and partnerships. To capitalise on this, the innovator must work with like-minded companies and not be afraid of partnerships or failures. Scion's website allows potential buyers to customise their cars online - a feature so popular that by 2005, the site was receiving a million hits a month. Around this time, it was estimated that two-thirds of buyers configured their cars on the website with the colours and options they wanted before walking into the dealership. Scion was the first automaker to run a campaign on the online virtual world 'Second Life', releasing virtual cars at various points in the popular "metaverse" for citizens to 'drive' and, of course, customise. Scion also launched in Whyville, another virtual world for teenagers, where Toyota also provided an educational slant by allowing members to take out virtual car loans through the site's Club Scion and Toyota Financial Services. The company supplemented its web activities with real-world initiatives such as supporting up-andcoming hip hop artists, hosting nightclub events and backing budding filmmakers, with a clear focus on seeking out the next underground sensation. To solidify this image, Scion's "tattooed, pierced and dreadlocked crew" held test-drive events in front of popular restaurants, clubs and record stores, whilst print advertising buy was restricted to underground magazines. Scion's innovative channel campaign was quick to deliver results: When Gen-Y was asked to name the brands it would consider for its next new car purchase, Scion rocketed from No. 30 in 2004 to No. 9 in 2005, according to Kelley Blue Book, an automotive vehicle valuation company in the US. The impact was visible in sales too: In the first quarter of 2005, Toyota had sold 32,972 Scions - more than Volvo or Suzuki and only slightly less than Mitsubishi, all erstwhile established players in the relevant vehicle classes.